Mr Richard Daron Smith (known as Daron) qualified with a first class honours degree in Medical Sciences from Gonville and Caius College, Cambridge before moving to New College, Oxford for his clinical training at the John Radcliffe Hospital. Before embarking on specialist training in Urology, he completed his MD at Imperial College supported by a prestigious grant from the British Urological Foundation. 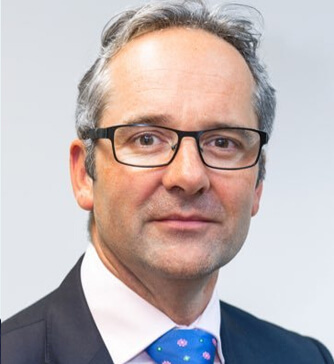 Mr Smith was trained in general urology in West London, and gained subspecialist training in EndoUrology at St Mary’s Hospital, Guy’s Hospital and at the Institute of Urology at UCH. He was appointed as a Consultant Urological Surgeon to Imperial NHS trust in 2007, and moved to the Stone and EndoUrology unit at UCH in 2009. In addition to general Urology, Dr Smith’s sub-specialist practice is primarily the comprehensive management of Urinary Tract Stone disease. He also treats other upper tract abnormalities, including strictures, extrinsic obstruction, and the endoluminal management of upper tract TCC. He teaches on a number of specialist stone / endourology skills courses, and runs a general course for younger urology trainees that he developed when a trainee himself. Smear test rates plunge: why, and what can be done about it?